News of the legal action on the backstop, endorsed by Lord Trimble, is not only welcome, such developments are belated. This is not to criticise the former Ulster Unionist Party leader, who has long been a critic of the backstop, but to make a wider point about the narrative surrounding the Irish border backstop. It has been not only remarkable, but yet another betrayal of moderate unionism by successive London governments since 1998. 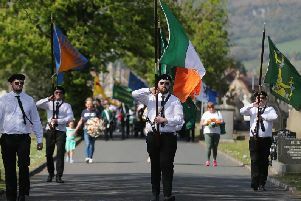 To this day, despite the tactics of Sinn Fein in bringing down Stormont until its political demands are satisfied, a grievous abuse of the system of mandatory coalition, even a Tory government propped by the DUP is so fearful of alienating republicans that it will take no measures that seem to be isolating the instigators of such wrecking tactics. The former Labour government was worse. When the IRA engaged in outrages, from spying at Stormont to breaking into Castlereagh to murdering Robert McCartney to robbing the Northern Bank, everyone had to pay, not just republicans. Today’s secretaries of state are barely any better. London will almost never contradict Simon Coveney, on any issue. There is still time to make up for these failures of the past, and a perfect opportunity now to speak out in support of such respected figures as Lords Trimble and Bew and their assessment of the Belfast Agreement they helped secure. The backstop, by design, will cede control of major areas of economic policy and rules to the EU, with Dublin as its nearest outpost. Parliament has made clear that it will endorse a Withdrawal Agreement minus the backstop. Theresa May flies into Belfast today with an opportunity to put clear blue water between herself and Sir Keir Starmer, who was here yesterday. Sir Keir says the backstop is essential. If so, then let his party now be the party of the backstop.